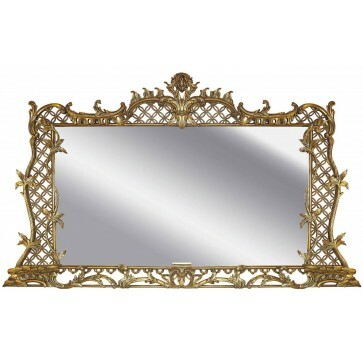 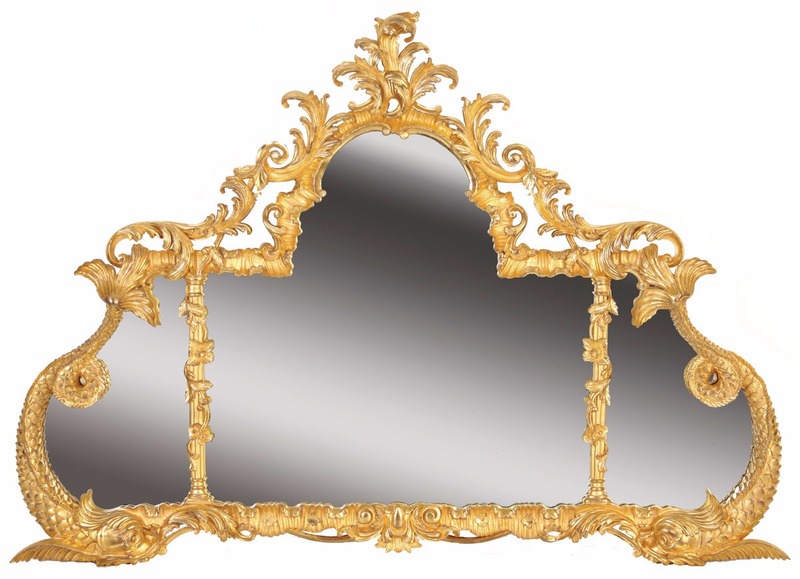 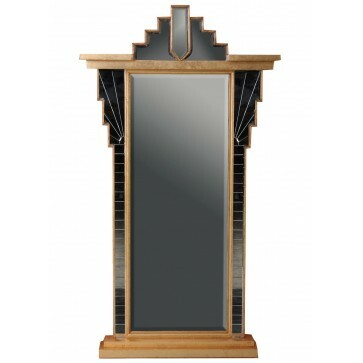 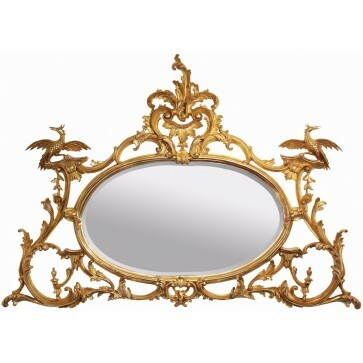 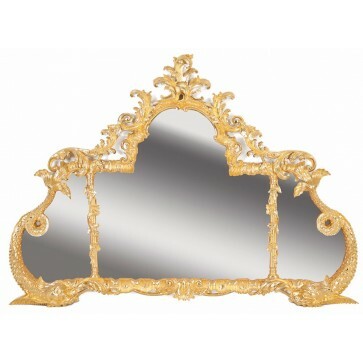 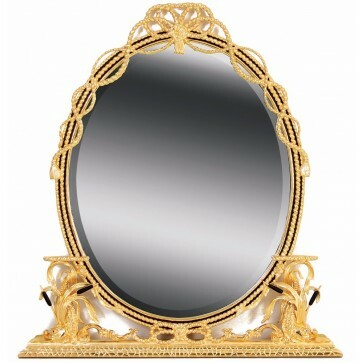 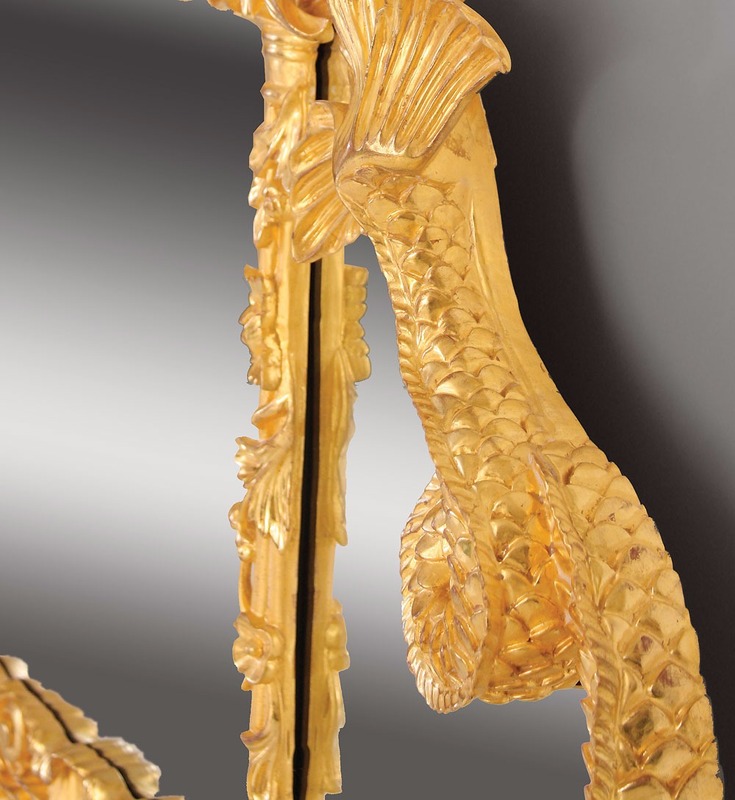 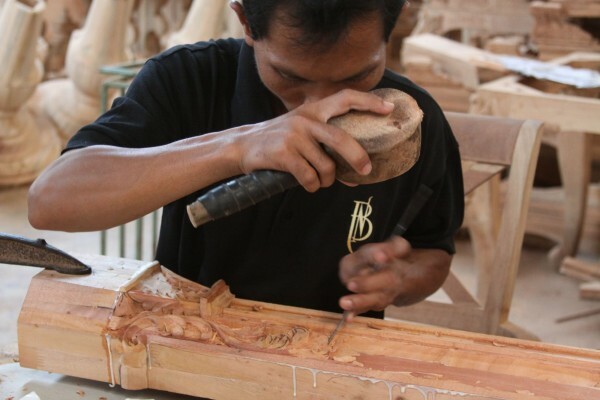 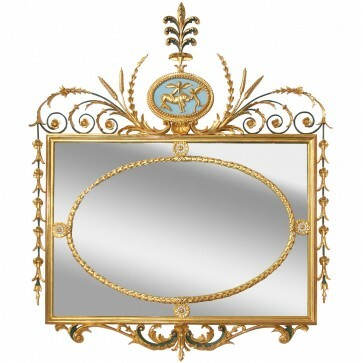 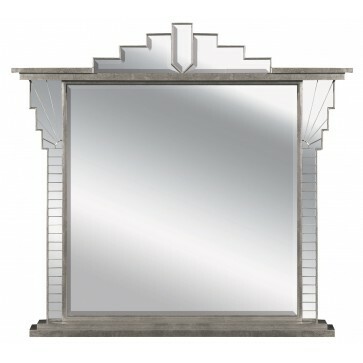 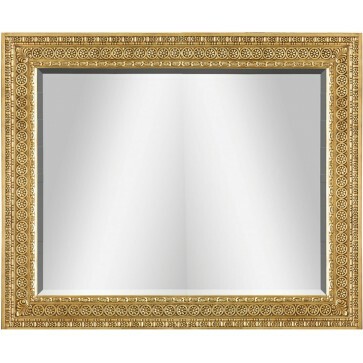 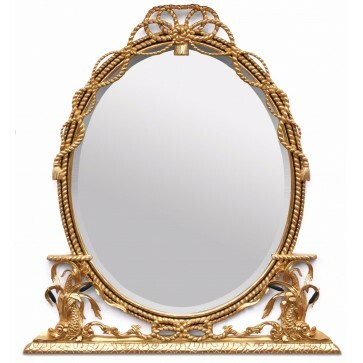 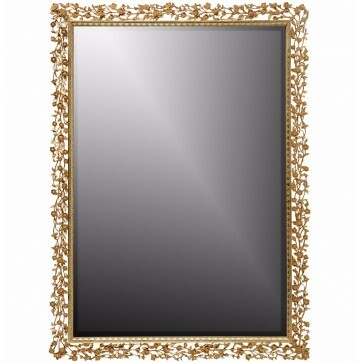 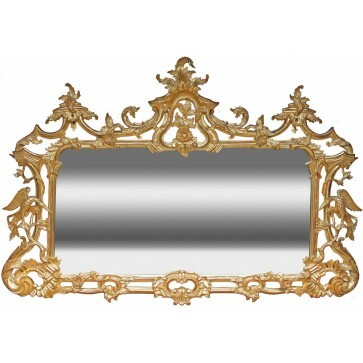 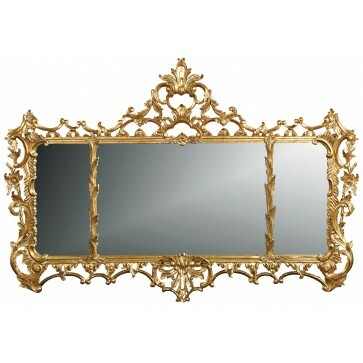 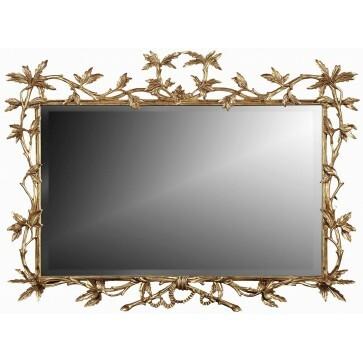 The mirror frame is entirely hand carved in mahogany, water gilded in 23¾ carat gold leaf with ‘bright and matt’ effect, the highlighted areas burnished with an agate stone with slight distressing to expose the brown coloured bole beneath. 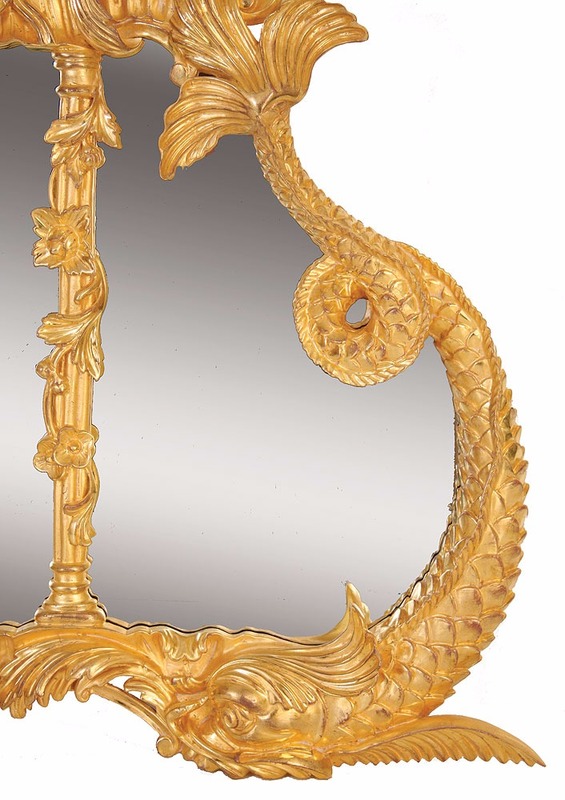 Water gilding is an art form in itself and can be presented in a large array of tones and finishes but this particular mirror has been finished by our gilder to what he sees as most sympathetic to the design. 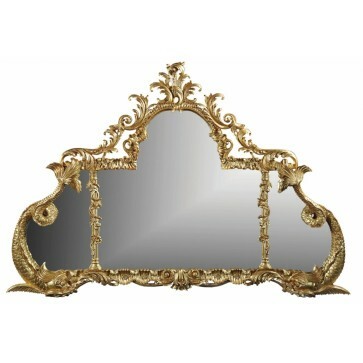 The original, Circa 1760, commanded an auction estimate of £20,000-£30,000 in November 1996.